RIGRODSKY & LONG, P.A. just filed a class action against FairPoint Communications, Inc. (FRP). The complaint hasn’t hit the news yet, although Rigrodsky filed a press release announcing its “investigation” a few weeks back. For example, one of the Individual Defendants will join the Consolidated Communications board of directors following the close of the Proposed Transaction. Moreover, Individual Defendant Sunu stands to receive $5,730,902 in connection with the merger, and the other named executive officers of the Company stand to receive $6,681,072. FAIRPOINT COMMUNICATIONS, INC., PAUL H. SUNU, EDWARD D.
This action stems from a proposed transaction announced on December 5, 2016 (the “Proposed Transaction”), pursuant to which FairPoint Communications, Inc. (“FairPoint” or the “Company”) will be acquired by Consolidated Communications Holdings, Inc. (“Parent”) and Falcon Merger Sub, Inc. (“Merger Sub,” and together with Parent, “Consolidated Communications”). Defendants”) caused the Company to enter into an agreement and plan of merger (the “Merger Agreement”). Pursuant to the terms of the Merger Agreement, shareholders of FairPoint will receive 0.7300 shares of Parent common stock for each share of FairPoint common stock. Based on Parent’s closing stock price on December 2, 2016, the merger consideration was valued at approximately $20.72 per share. However, based on Parent’s closing stock price on January 20, 2017, the merger consideration is valued at only approximately $19.13 per share. On January 26, 2017, defendants filed a Form S-4 Registration Statement (the “Registration Statement”) with the United States Securities and Exchange Commission (“SEC”) in connection with the Proposed Transaction. Proposed Transaction, which renders the Registration Statement false and misleading. Securities Exchange Act of 1934 (the “1934 Act”) in connection with the Registration Statement. Plaintiff is, and has been continuously throughout all times relevant hereto, the owner of FairPoint common stock. Defendant FairPoint is a Delaware corporation and maintains its principal executive office at 521 East Morehead Street, Suite 500, Charlotte, North Carolina 28202. Chief Executive Officer (“CEO”) of the Company since August 2010. Defendant Edward D. Horowitz (“Horowitz”) is a director and Chairman of the Board of FairPoint. According to the Company’s website, Horowitz is Chair of the Corporate Governance and Nominating Committee and a member of the Compensation Committee. Defendant Peter D. Aquino (“Aquino”) is a director of FairPoint. According to the Company’s website, Aquino is a member of the Audit Committee and the Regulatory Committee. Defendant Dennis J. Austin (“Austin”) is a director of FairPoint. According to the Company’s website, Austin is a member of the Audit Committee and the Regulatory Committee. Defendant Peter C. Gingold (“Gingold”) is a director of FairPoint. According to the Company’s website, Gingold is a member of the Compensation Committee. Defendant Michael J. Mahoney (“Mahoney”) is a director of FairPoint. According to the Company’s website, Mahoney is Chair of the Regulatory Committee and a member of the Compensation Committee. Defendant Michael K. Robinson (“Robinson”) is a director of FairPoint. According to the Company’s website, Robinson is a member of the Audit Committee and the Corporate Governance and Nominating Committee. Defendant David L. Treadwell (“Treadwell”) is a director of FairPoint. According to the Company’s website, Treadwell is Chair of the Compensation Committee and a member of the Corporate Governance and Nominating Committee. Company’s website, Wilson is Chair of the Audit Committee. Parent, and a party to the Merger Agreement. Plaintiff brings this action as a class action on behalf of himself and the other public stockholders of FairPoint (the “Class”). Excluded from the Class are defendants herein and any person, firm, trust, corporation, or other entity related to or affiliated with any defendant. The Class is so numerous that joinder of all members is impracticable. As of December 2, 2016, there were approximately 27.9 million shares of FairPoint common stock outstanding, held by hundreds, if not thousands, of individuals and entities scattered throughout the country. FairPoint provides advanced data, voice, and video technologies to single and multi-site businesses, public and private institutions, consumers, wireless companies, and wholesale re-sellers in seventeen states. Leveraging an owned, fiber-core Ethernet network, including more than 16,000 route miles of fiber in northern New England, FairPoint has the network coverage, scalable bandwidth, and transport capacity to support enhanced applications, including the next generation of mobile and cloud-based communications, such as small cell wireless backhaul technology, voice over IP, data center colocation services, managed services, and disaster recovery. On November 2, 2016, FairPoint issued a press release wherein it reported its financial results for the third quarter of 2016. The Company reported that revenue increased $0.5 million during the third quarter of 2016 to $207.1 million. Growth revenue increased $1.8 million, or 2.8%, and miscellaneous revenue increased $1.2 million. Net income was $40.2 million in the third quarter of 2016 compared to $29.3 millJeffrion in the second quarter of 2016. Adjusted EBITDA increased $0.8 million to $63.9 million in the third quarter of 2016 compared to $63.1 million in the second quarter of 2016. Compared to the third quarter of 2015, growth revenue increased by $2.3 million and miscellaneous revenue increased $0.8 million. We remain focused on improving our customers’ experience and our third quarter results show continued progress in our efforts to transform revenue while mitigating losses in legacy products[.] Total revenue was up slightly from the second quarter and growth revenue contributed 31.7% of that total. In addition, expenses remained well managed to continue to deliver solid profitability. Efforts continue to harden our network and evolve our product and service offering to provide effective communications solutions[.] Our investments to extend our fiber footprint and upgrade network equipment to provide faster broadband speeds are increasing service reliability, reducing churn and better positioning us to compete for residential broadband customers. In addition, we continue to develop new products and capabilities to more effectively serve small and medium sized businesses which are an important element of many of our markets. On December 3, 2016, the Individual Defendants caused the Company to enter into the Merger Agreement, pursuant to which the Company will be acquired for inadequate consideration. 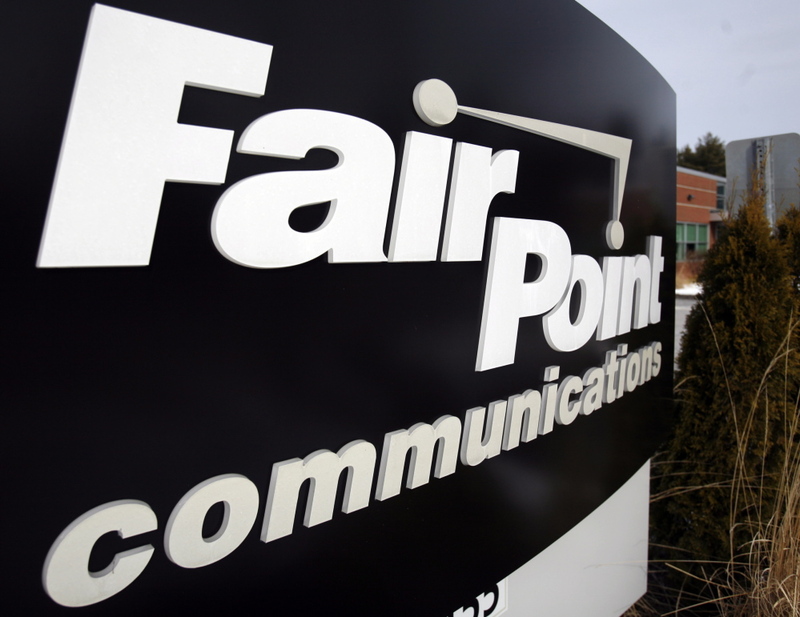 Pursuant to the terms of the Merger Agreement, shareholders of FairPoint will receive 0.7300 shares of Parent common stock for each share of FairPoint common stock they own. Based on Parent’s closing stock price on December 2, 2016, the merger consideration was valued at approximately $20.72 per share. However, based on Parent’s closing stock price on January 20, 2017, the merger consideration is valued at only approximately $19.13 per share. respective Representatives not to, directly or indirectly, (i) solicit (including by way of furnishing non-public information), initiate or knowingly encourage or facilitate any inquiry with respect to, or the making, submission or announcement of, any proposal or offer that constitutes, or is reasonably expected to lead to, an Alternative Proposal, (ii) furnish to any Person (other than Parent or Merger Sub or their respective designees) any non-public information relating to the Company and/or its Subsidiaries, or afford to any Person access to the business, properties, assets, books, records or other non-public information, or to any personnel, of the Company and/or its Subsidiaries (other than Parent or Merger Sub or their respective designees), in any such case relating to an Alternative Proposal or any inquiries or the making of any proposal that could lead to an Alternative Proposal, (iii) engage in, continue or otherwise participate in any discussions or negotiations regarding any Alternative Proposal with any Person, except to notify such Person as to the existence and content of the provisions of this Section 7.7, or (iv) grant any waiver, amendment or release under any standstill or confidentiality agreement (except for any portion of any such standstill or confidentiality agreement that restricts the ability of a Person to communicate an Alternative Proposal to Company Board), or anti-takeover laws. (e) The Company shall keep Parent reasonably informed regarding the matters contemplated by this Section 7.7 (including any Alternative Proposals). Without limiting the generality of foregoing, (i) the Company shall promptly notify Parent if any proposals or offers with respect to an Alternative Proposal are received by the Company or any of its Representatives indicating, in connection with such notice, the material terms and conditions of any proposals or offers (including, if applicable, copies of any written requests, proposals or offers, including proposed agreements) and thereafter shall keep Parent reasonably informed, on a prompt basis, of the status and material terms of any such proposals or offers (including any material amendments thereto), including any change in the Company’s intentions as previously notified, and (ii) the Company agrees that it will promptly notify Parent if any non-public information is requested from, or any discussions or negotiations are sought to be initiated or continued with, the Company or any of its Representatives indicating, in connection with such notice, the status of any such discussions or negotiations, including any change in the Company’s intentions as previously notified. The Company agrees that it and its Subsidiaries will not enter into any confidentiality agreement with any Person subsequent to the date hereof which prohibits the Company from providing such information to Parent. other things, (I) the terms of such offer and (II) all legal, financial (including the financing terms thereof), regulatory, timing and other aspects of such offer which the Company Board deems relevant), and agrees in writing to all adjustments in the terms and conditions of this Agreement as are necessary to reflect such offer, the Company’s notice of termination with respect to such Superior Proposal shall be deemed to be rescinded and of no further force and effect and, if the Company or any Subsidiary of the Company has entered into a Superior Proposal Agreement, it shall promptly terminate such agreement (it being agreed that the Company will cause any Alternative Acquisition Agreement entered into prior to the expiration of such three (3) Business Day period (or where applicable, 48hour period) to include a provision permitting such termination). Further locking up control of the Company in favor of Consolidated Communications, the Merger Agreement provides for a “termination fee” of $18,900,000, payable by the Company to Consolidated Communications if the Individual Defendants cause the Company to terminate the Merger Agreement. The consideration to be paid to plaintiff and the Class in the Proposed Transaction is inadequate. The merger consideration also fails to adequately compensate the Company’s shareholders for the significant synergies that will result from the merger. Communications board of directors following the close of the Proposed Transaction. First, the Registration Statement omits material information regarding the Company’s financial projections, Consolidated Communications’ financial projections, the financial analyses performed by the Company’s financial advisor, Evercore L.L.C. (“Evercore”), in support of its so-called fairness opinion, and the financial analyses performed by Consolidated Communications’ financial advisor, Morgan Stanley & Co. LLC (“Morgan Stanley”). With respect to FairPoint’s financial projections, the Registration Statement fails to disclose, for each year of projections: (i) cash pension; (ii) “other post-employment benefit contribution”; (iii) cash taxes; (iv) projected net operating losses; (v) projected net debt; and (vi) projected share count. With respect to Evercore’s Discounted Cash Flow Analysis for FairPoint, the Registration Statement fails to disclose: (i) the standalone unlevered, after-tax free cash flow that FairPoint was projected to generate from December 31, 2016 through calendar year 2021 and all constituent line items used in the calculation of unlevered free cash flow; (ii) the calculated terminal values for FairPoint resulting from each of the methodologies; and (iii) the amounts of FairPoint’s pension and other post-retirement benefit liabilities used by Evercore. Communications resulted from each of the methodologies; and (iii) the amounts of Consolidated Communications’ pension and post-retirement expenses used by Evercore. With respect to Evercore’s Net Present Value of Future Stock Price Analysis for Consolidated Communications, the Registration Statement fails to disclose the projections of net debt and share count used by Evercore. With respect to Morgan Stanley’s Discounted Cash Flow Analysis for FairPoint, the Registration Statement fails to disclose: (i) the estimated unlevered free cash flow of FairPoint for the period from January 1, 2017 to December 31, 2021 and all constituent line items used in the calculation of unlevered free cash flow; and (ii) the calculated terminal values for FairPoint. With respect to Morgan Stanley’s Discounted Cash Flow Analysis for Consolidated Communications, the Registration Statement fails to disclose: (i) the estimated unlevered free cash flow of Consolidated Communications for the period from January 1, 2017 to December 31, 2021 and all constituent line items used in the calculation of unlevered free cash flow; and (ii) the calculated terminal values for Consolidated Communications. With respect to Morgan Stanley’s Comparable Public Companies analysis, the Registration Statement fails to disclose the multiples and financial metrics for the companies observed by Morgan Stanley in its analysis. With respect to Morgan Stanley’s Precedent Strategic Transactions Analysis, the Registration Statement fails to disclose the multiples and financial metrics for the transactions observed by Morgan Stanley in its analysis. Second, the Registration Statement omits material information regarding the background of the Proposed Transaction. The Company’s stockholders are entitled to an accurate description of the “process” the directors used in coming to their decision to support the Proposed Transaction. For example, the Registration Statement fails to disclose whether any of the confidentiality agreements entered into by FairPoint and the various parties contained standstill and/or “don’t ask, don’t waive” provisions that prevented or are preventing parties from submitting topping bids to acquire the Company or requesting a waiver of standstill provisions. The Registration Statement also fails to disclose the financial terms of the proposals submitted by FairPoint to Party C and Party G.
Third, the Registration Statement omits material information regarding potential conflicts of interest of the Company’s officers and directors. Specifically, the Registration Statement fails to disclose the timing and nature of all communications regarding future employment and/or directorship of FairPoint’s officers and directors, including who participated in all such communications. information provides illumination concerning motivations that would prevent fiduciaries from acting solely in the best interests of the Company’s stockholders. Fourth, the Registration Statement omits material information regarding potential conflicts of interest of Evercore. Specifically, the Registration Statement fails to disclose the services Evercore previously provided to FairPoint, as well as the amount of the fees paid to Evercore by FairPoint for such services. The above-referenced omitted information, if disclosed, would significantly alter the total mix of information available to FairPoint’s stockholders. The Individual Defendants disseminated the false and misleading Registration Statement, which contained statements that, in violation of Section 14(a) of the 1934 Act and Rule 14a-9, in light of the circumstances under which they were made, omitted to state material facts necessary to make the statements therein not materially false or misleading. FairPoint is liable as the issuer of these statements. controlling persons of FairPoint within the meaning of Section 20(a) of the 1934 Act as alleged herein. By virtue of their positions as officers and/or directors of FairPoint and participation in and/or awareness of the Company’s operations and/or intimate knowledge of the false statements contained in the Registration Statement, they had the power to influence and control and did influence and control, directly or indirectly, the decision making of the Company, including the content and dissemination of the various statements that plaintiff contends are false and misleading. provided with or had unlimited access to copies of the Registration Statement alleged by plaintiff to be misleading prior to and/or shortly after these statements were issued and had the ability to prevent the issuance of the statements or cause them to be corrected. information that was omitted and/or misrepresented in the Registration Statement. Communications violated Section 20(a) of the 1934 Act. As set forth above, the Individual Defendants and Consolidated Communications had the ability to exercise control over and did control a person or persons who have each violated Section 14(a) of the 1934 Act and Rule 14a-9, by their acts and omissions as alleged herein. By virtue of their positions as controlling persons, these defendants are liable pursuant to Section 20(a) of the 1934 Act. As a direct and proximate result of defendants’ conduct, plaintiff and the Class are threatened with irreparable harm. THE LAW OFFICES OF JASON E.